You know what wasabi is; it's that spicy condiment that sits next to sushi and clears out your sinuses when you eat it. 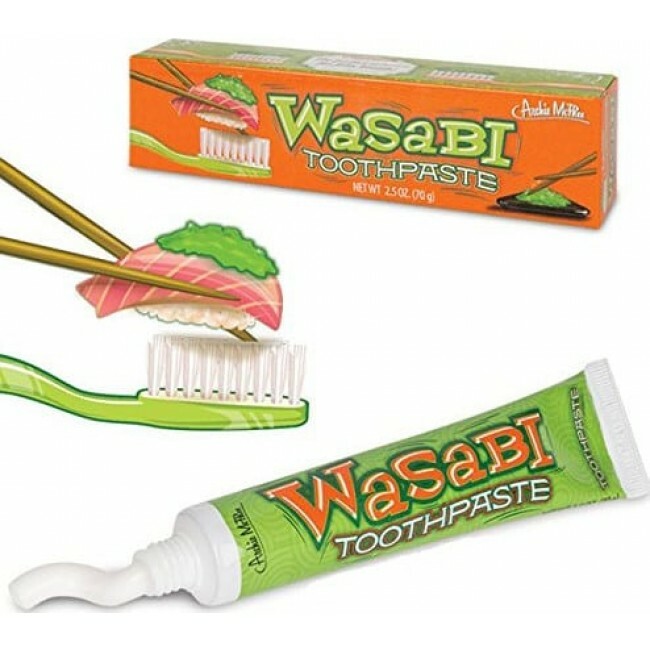 Wouldn't you like a toothpaste with that same flavor? Your wish has been fulfilled. Each tube contains 2.5 oz. (70 g) of perky paste. Sealed illustrated box.